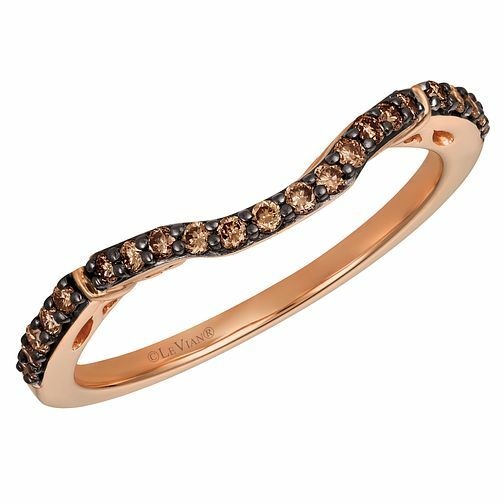 Le Vian presents an opulent wedding ring with a gentle indent, carefully set with a row of Chocolate diamonds for an alternative and colourful wedding ring choice. The Le Vian name has been associated with the world's finest jewellery since the 15th century and is now worn by Hollywood celebrities and the glitterati. Matching Engagement Ring: 2953501.